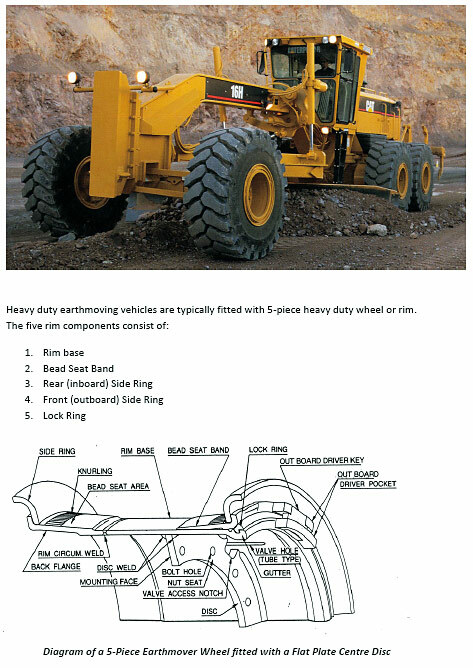 Heavy duty earthmoving vehicles are typically fitted with 5-piece heavy duty wheels or rims. To cater for the many different brands and different wheel types within the heavy duty market place, Mullins Wheels have developed the capability to manufacture wheels for any machine. Mullins can manufacture a wheel for you which is identical to the original wheel on your machine.